Sheroes is a storehouse of employment opportunities for women. With employment options ranging from full time, part time to flexi time, women can choose what suits them the best. There are other resources like career information on their blog, mentors to guide women and support for women at any stage of their career. 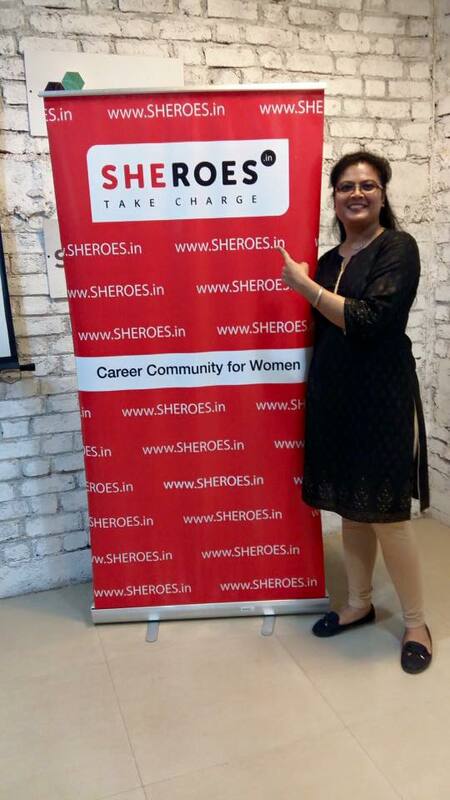 Sheroes has started monthly community meets in different cities of India. This is a great opportunity for the members to meet personally and strengthen the bonds of the community. 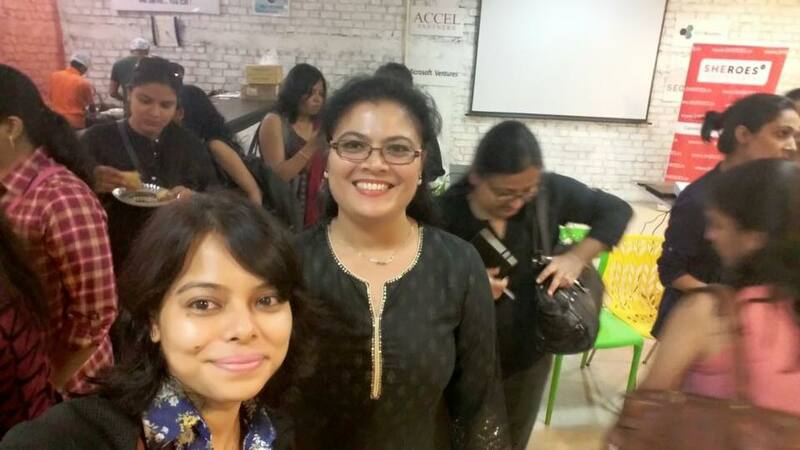 The meet was held in Navi Mumbai at a co-working space. Despite it being a week day afternoon, quite a few turned up for the meet. Some were new, some skeptical and some had been to the annual summit in December. But everyone was sold by the end of the meet about how getting together and sharing our experiences can be so empowering. Two women shared their powerful stories of being successful on their jobs despite odds. Rakshita Dwivedi works with PlugHR and shared her journey of taking many breaks and yet bouncing back each time to do better in her career. Up next were Neha and Rituparna who run a start up called Baby chakra which offers reliable services needed for your baby. They also have a great blog on parenting. The house was open for questioning after these talks. But what brought out the real people was the introduction round after this. Probably, we all felt great to finally find a place where we could share our struggles and stories. Though I did not fall in the majority category of having taken a break due to motherhood or associated with Sheroes for job opportunities, I was struck by the similarity of all the stories. Each one had put their families before them. Many of them had given up their careers of a decade and chosen to pursue something more meaningful that made them happy. I had started reading Sheryl Sandberg’s Lean In the same afternoon and I could not help but relate to the gender bias she talks about in the book. It was eye-opening to see those stories that support what Sandberg says unravel before me in real life. But the last thought I left the meet with was that the forum was a great place for women to open up and talk about the struggle they go through to maintain a balance. Why not include men in the discussion so that they can learn from the real stories of so many women? They can relate this to what their own spouses ands colleagues go through and probably develop a better understanding of women they live with. Any answers, Sheroes? Suman, great to see some super work happening at your end. Way to go! !